I would like to prevent the theft of my scooter; is the traditional chain or the U-lock better? This is a question that many people ask. 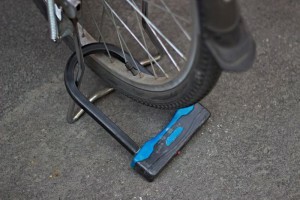 The U-lock appears to be stronger and more resistant than a chain. So is it more secure? Actually, a padlock and chain is an altogether better solution. Let’s see why.The main advantage of the U-lock is the large cross section of the shackle, which makes it particularly resistant to cutting with snips or shears. From this point of view, it may actually be more resistant than a padlock and chain, provided, however, that the shackle is made of appropriate materials (hardened steel). Needless to say, making a large shackle with high-strength materials is quite expensive. For this reason, it is best to be wary of U-locks which are particularly cheap because, in spite of the size and weight, if they are made of simply of iron it is quite easy to cut them. 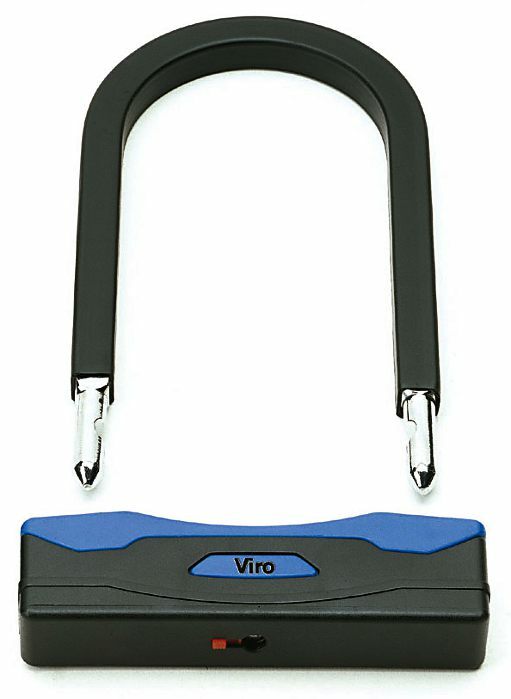 A U-lock made of hardened steel is very resistant to cutting. If a small hydraulic jack is fitted in the shackle it easy to tear it away from the body. If there is sufficient space to insert it inside the shackle, tearing it away from the body is quite easy. For this reason, if you choose to use a U-lock, the advice is to buy one which is just large enough to enclose the tyre and the rim and to use it to lock the wheel so that no free spaces remain. U-locks should be used so that they do not leave any free space inside the shackle. And here we come to the substantial difference in terms of security between the two solutions. 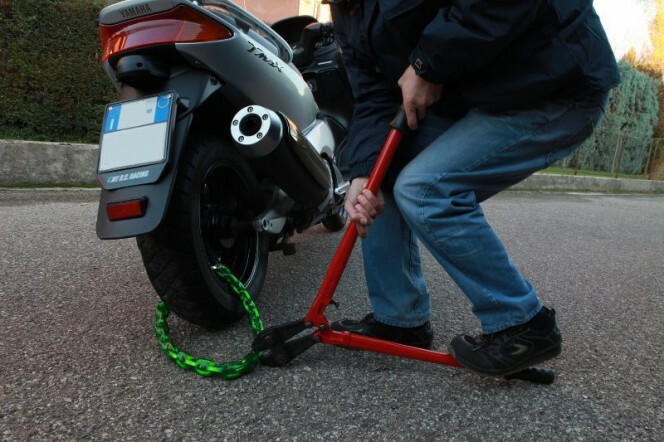 A chain with a padlock allows the scooter (or motorcycle, or bicycle) to be easily secured to a fixed point (pole, railing, bike rack, etc. ), but the U-lock generally does not, both because it is not long enough and because even when you manage to hook it to a fixed point too much free space is left inside. The U-lock therefor leaves it vulnerable to thefts occurring by loading the vehicle onto a van, as in this case, where a scooter is stolen in about 20 seconds. The U-lock does not allow fastening to a fixed point. 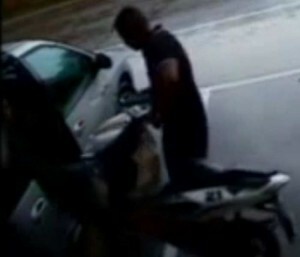 So it does not protect against theft by loading the scooter onto a van. 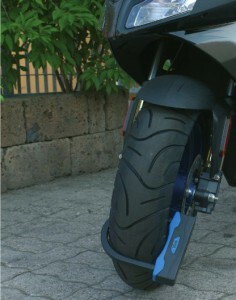 However, the chain with a padlock, anchoring the scooter to a fixed point, must be forced before being able to move the vehicle. 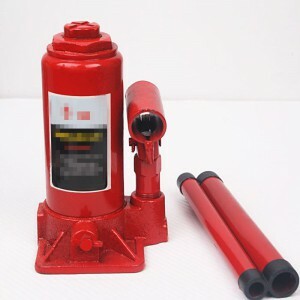 It therefore represents an effective deterrent against this type of theft. But also from the point of view of the resistance to cutting, which as we have seen can be a point in favour of U-locks, in fact a good quality chain, with a cross section of at least 10 mm, with square or hexagonal links and made of case-hardened, quenched and tempered steel, coupled with a good quality armoured or one-piece padlock, is more resistant than a U-lock made of poor quality material, and at least as resistant as one made with good quality materials. 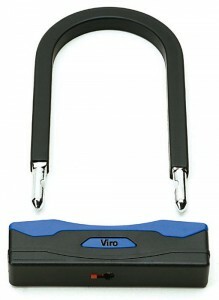 For both U-locks and chains the resistance to cutting also depends on how they are used. 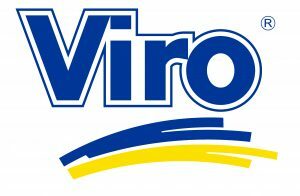 As we have seen in a dedicated blog, the general advice is always to not let them touch the ground. U-locks and chains should never be left so that they touch the ground, because otherwise it becomes easier to cut them. Otherwise it is much easier to cut them with shears, because one arm of the shears can be rested on the ground and one’s full weight then placed on the other. As often happens in the security sector, also in the case of U-locks the size only tells part of the story, and perhaps not even the most important part. The quality of the materials and machining and the correct use are determinant factors. 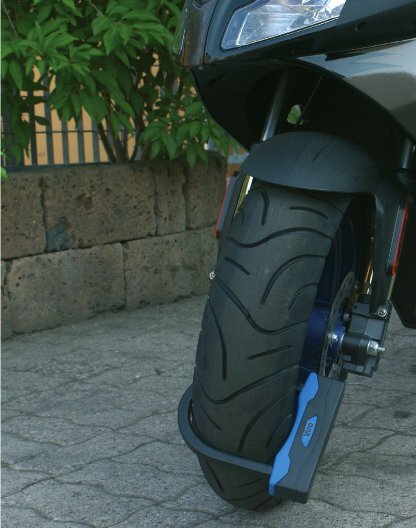 This entry was posted in Motorbikes and Bicycles and tagged tips on 27 January 2014 by Mara Rossi.